Connecting to the Essential Question: What are you going to learn today? Students will be able to create simple mathematical representations of waves and identify characteristic properties of waves. Students go through a series of hands-on lab stations that engage students in not only identifying the properties of waves, but in creating mathematical representations as well! MS-PS4-1 Use mathematical representation to describe a simple model for waves that includes how the amplitude of a wave is related to the energy in a wave. MS-PS-4-2 Develop and use a model to describe that waves are reflected, absorbed, or transmitted through various materials. CCSS.ELA Reading: Science & Technical Subjects Integrate quantitative or technical information expressed in words in a text with a version of that information expressed visually (e.g., in a flowchart, diagram, model, graph, or table). CCSS.Math Mathematical Practice 4 Model with mathematics. At this point, students have had multiple experiences engaging with each of these standards in previous lessons. They have created models representing energy and amplitude and have explored the relationship between frequency, wavelength, and pitch using slinkies. Moreover, they have created models of transmission, absorption, and reflection. This series of lab stations is therefore an extremely independent activity for students providing them with more interactions with the standards. Therefore, it is also a good place to focus on students that have not been demonstrating mastery and help them make connections that they have not yet previously made. In this lab rotation, students continue to create models that explain phenomena (SP2). In addition, students utilize the Crosscutting Concept of Patterns, using graphs to identify patterns and relationships between variables such as frequency and wavelength. However, one new aspect that we begin to discuss is the mathematical representation of what a wave looks like (MP4). On the first day, students are introduced to the idea of how a wave can be graphed in a coordinate plane on a Displacement vs. Time/Distance plot. In this lab, students have to create graphs that demonstrate general relationships of both transverse and longitudinal waves in order to develop their mathematical and conceptual thinking (SP5). On the second day of instruction, students are introduced to graphing a wave based on specific numbers instead of general relationships and begin manipulating the graphs of waves to demonstrate a proportional understanding of wave relationships. Next, I explain that over the course of the next days, we will be focusing on the EQ in two important ways - written as Skill 1 and Skill 5 on the Unit Plan. Ask the students to take a moment and read the “I can...” statements for Skills 1 and 5 and identify the new key ideas that they should be connecting to. Students may share things such as “different types of waves”, “different types of matter”, “waves interacting with matter differently”, and “real world examples”. In previous lessons, students should have already ranked themselves on a scale of 1 to 4 (4 being mastery) on each of the learning targets/”I Can” statements. One of the purposes in checking in on the EQ and Skills daily is for students to self assess their learning. I ask the students to re-assess themselves on each of these learning targets, changing the number if they feel their level of understanding has changed since the last self-reflection. Provide students with the Waves Light Bulb Sheet as well as the “How Do Satellites Work?” excerpt. Ask the students to read the article with the purpose of underlining, highlighting, or circling words or phrases that connect to the EQ. So, as students read, they should be marking up their papers identifying properties of waves and wave behavior that they know of as well as ways that waves can be used. After providing time to read, students share the connections that they made. Students may offer that they saw that the properties of amplitude, frequency, transmission, and reflection were all mentioned in the way that satellites work. They will also note that satellites are a great example of how waves are used in the world. This conversation should be so much more than simply listing these things, however. Teacher: What connections were you able to make to the EQ? What were some properties of waves and uses of waves you can cite from the text? Student: In the first paragraph, 2nd line, it states, “a signal is reflected, or "bounced," off the satellite”. Reflection is one way that waves often behave. Teacher: I noticed that you cited the exact place in the text where you found the information by giving the paragraph and line he found it in. Even more than that, I noticed a few other students take their finger and go to that place on the text when he/she said that. Both of these actions are strategies that students successful at interacting with text might do. As the next students share their examples, see if you can utilize these strategies yourself. Or, it may unfold like this. Teacher: You have made a great connection to the essential question. Reflection is a characteristic way that waves interact with matter. As a scientist, your arguments become more credible when you can actually cite where you got your information from. Readers and listeners will be able to trust your arguments more if you can let them know which and where in the science text you used. Could you tell us where you noticed the word "reflection" in the text? Teacher: I noticed that you cited the exact place in the text where you found the information by giving the paragraph and line he found it in. Even more, I noticed a few other students take their finger and go to that place on the text when he/she said that. Both of these actions are strategies that students successful at interacting with text might do. As the next students share their examples, see if you can utilize these strategies yourself. 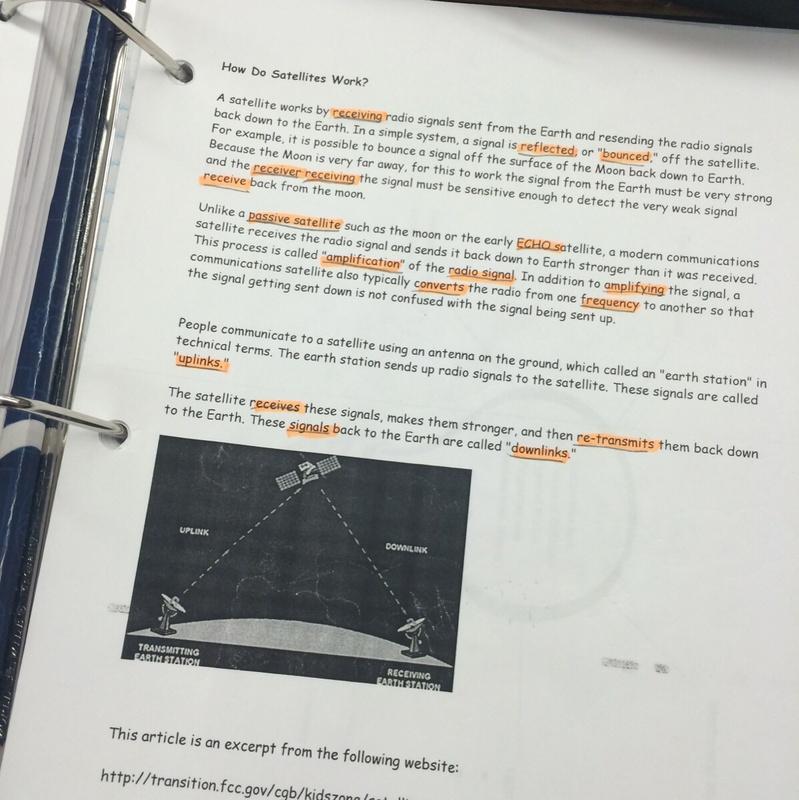 Student: The article states that satellites use absorption. Waves being absorbed by matter is a common way that waves behave. Teacher: As a scientist, your arguments become more credible when you can actually cite where you got your information from. Readers and listeners will be able to trust your arguments more if you can let them know which and where in the science text you used. Could you tell us where you noticed the word absorption in the text? Student: Oops. I guess it doesn’t. Direct the students’ attention to the light bulb page and ask them to add any examples from the text that they just read, to the light bulb. Ask them to notice that one side of the light bulb is focusing on the similarities and differences on how waves interact with matter and the other is focusing on the uses of waves in the real world. For this first day, they may only write on the light bulb page that organizes how waves are used in the world as they add satellites. Let students know that they will be adding to this each day over the next two weeks and that it is not the intent that they have the light bulbs completely filled in right now. The idea is that they add their ideas as they make connections over the next weeks. Reflection: Donât be scared of misconceptions! Provide students with the Behavior of Waves Lab document. Let them know that while you are going to explain each lab station that there are Behavior of Waves Lab Directions. Let the students know that your verbal directions are not meant to replace following a procedure. One of the most important jobs of scientists is to follow procedures so that they can produce reliable data! Description for students: At this station, you will be using slinkies to model a variety of different types of waves as well as a variety of wave properties. For each wave example written in the first column of the chart, use the slinky to model this wave. Then, place a check or an X in the columns that correlate with what you did with your hand. You should have 2 marks per row for the 1st 6 columns. For example, the first two columns are labeled “push hand forward softly” and “push hand forward hard”. Depending on the wave, you may have done neither of those things or only one of those things. Therefore, many boxes will be left blank. The next to last column ask you to draw what the wave looked like. In other words, what did the slinky look like? The last column asks you to draw an example of what the graph of the wave might look like. This is an important new application you will be making with waves. Introduction to Graphing Waves Mini Lesson: Using math to show relationships is very valuable to a scientist. When studying waves, scientists are able to create graphs that represent the displacement over time or over a distance. On the board, draw a coordinate plane. Label the y axis Displacement and the x axis Distance. Explain that displacement refers to the “how out of place an object is”. Thus, the x axis is the resting position of the object or particles. (Draw a slinky at rest at the origin of the coordinate plane so that they have a visual frame of reference.) When graphing, the wave will be going above and below the x axis. Picture yourself creating a transverse slinky wave. By moving your hand side to side, you displace the wave a distance above and below the starting point or the position the wave was at rest. This is one characteristic the graph is showing. (Draw a transverse wave starting at the origin going up and down past the x axis.) This graph is representing the Disturbance vs. Distance. The measurement on the x axis is referring to distance, or “how much ground the object or wave has covered”. Explain that in the last column of this chart, the students will create a general relationship graph (meaning they will not actually be plotting specific points, just a general line that could describe the wave) for each wave. While they do not have to plot specific points, do ask them to draw the coordinate plane, label the axes with the appropriate labels and draw the wave going above and below the x axis. One challenging idea for students is that the graph of a transverse wave looks like the actual transverse wave while the graph of a longitudinal wave actually looks like a transverse wave. This idea that when all waves are graphed, they all appear like transverse waves causes some challenges for students. 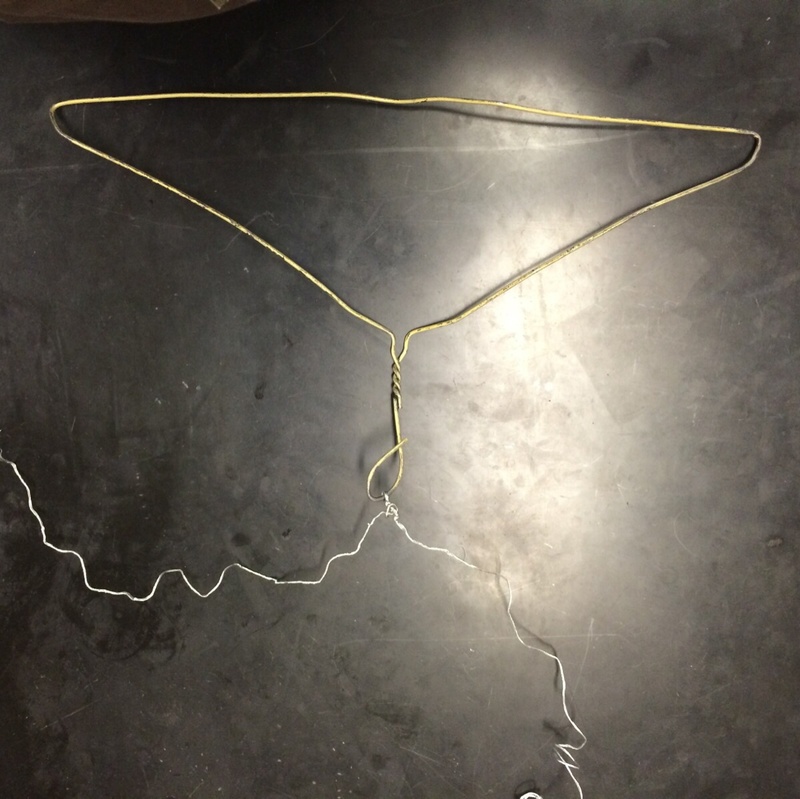 Show the students that attached to each hanger, there is a different type of string that is tied in a way that there are two ends of the string available for grabbing. Direct students to wrap one end of the string around a finger on each of their hands and place those fingers gently in their ears. Then, take the hanger and swing it so that it hits the table, taking note of the sound that they hear. Repeat this process with all of the string types. When discussing with students at lab stations, use the words and vocabulary from the skills in your questions so that students are making clear connections to what they are supposed to be learning. In addition, encourage the students to use this vocabulary as well. In this clip, the students says that with the fishing line he couldn't "hear it very well" and then added that it was a "lower amplitude". If he had not included strong vocabulary in his response, I would have asked him to explain his thinking again to me while utilizing the characteristic properties of waves in his answer. 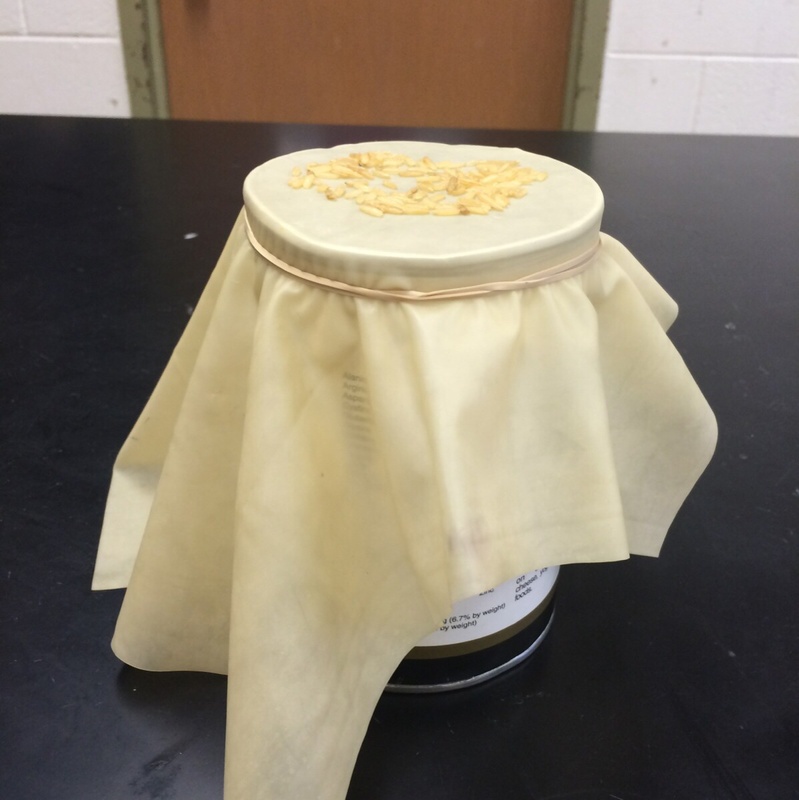 Show the students that there is a rubber/latex cover over the container. Tell the students they will place rice on the cover. They will hold the metal tray above the rice without touching the rice and bang the hammer on the tray, observing what occurs to the rice. Explain that the students should hold the 2 tubes at an angle pointed towards the same wall (I have also had luck using a text book). Have one student place their ear to their tube and the other whisper into their tube. Then, switch roles. 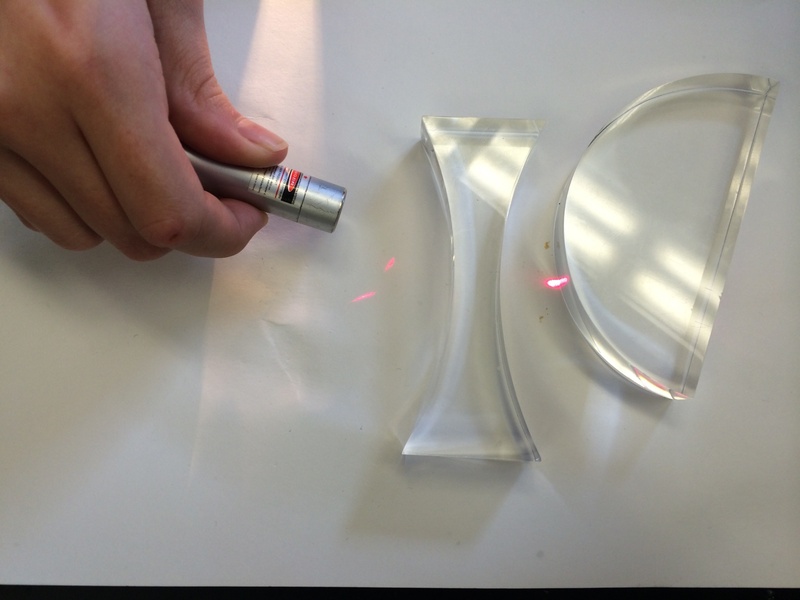 After observing the sound, use the laser pointer or flashlight to shine the light into one of the tubes and determine if they can see the light through the other tube. 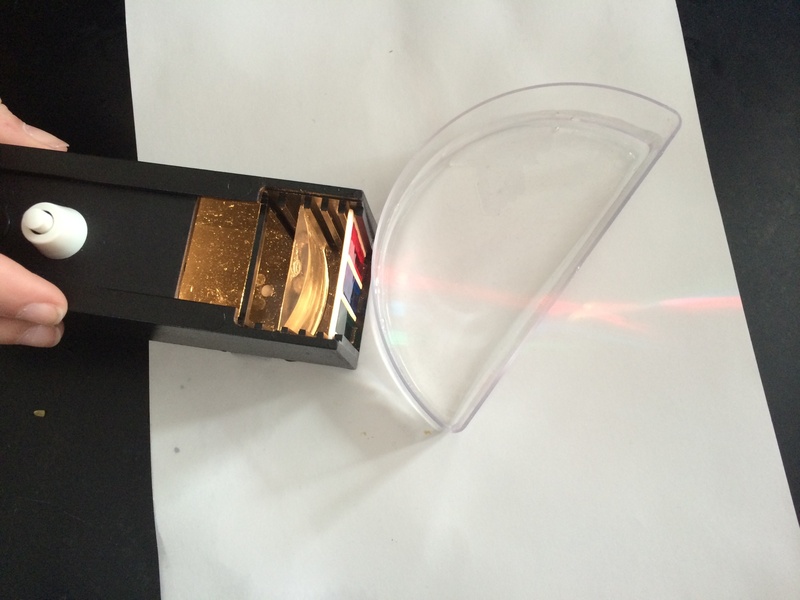 Explain that the students will take the laser pointer and light box (if available) to shine into the prisms and refraction cells (if available). Ask them to move the laser pointer side to side and at different angles to watch the behavior of the light. Safety: Be sure to address safety with the laser pointers! Scientists use technologies and tools for the purpose addressed in the procedure. Avoid transverse waves in the eyes of classmates! Tips: I have found that the bending of the light is more evident if you set these objects on a piece of plain white paper. 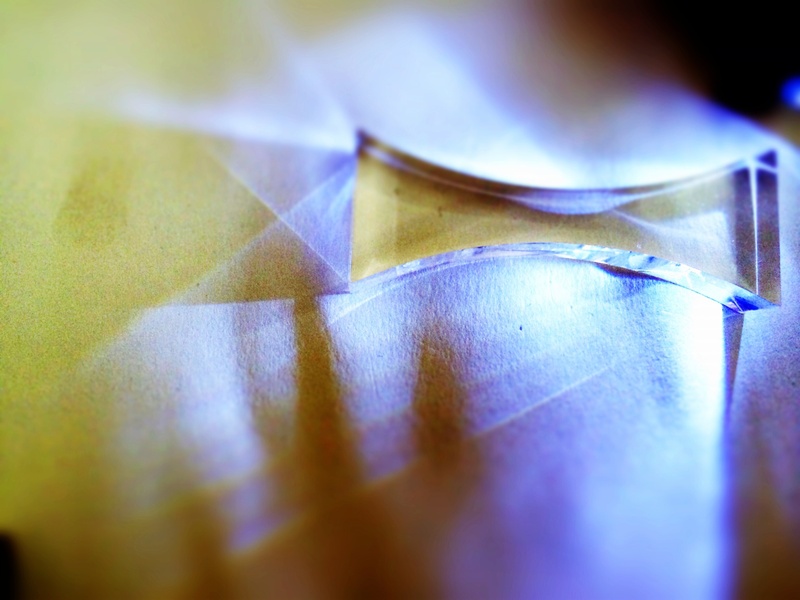 Also, the refraction cells and light box just provide and extra example here. If you do not have these items, prisms and laser pointers get the job done! 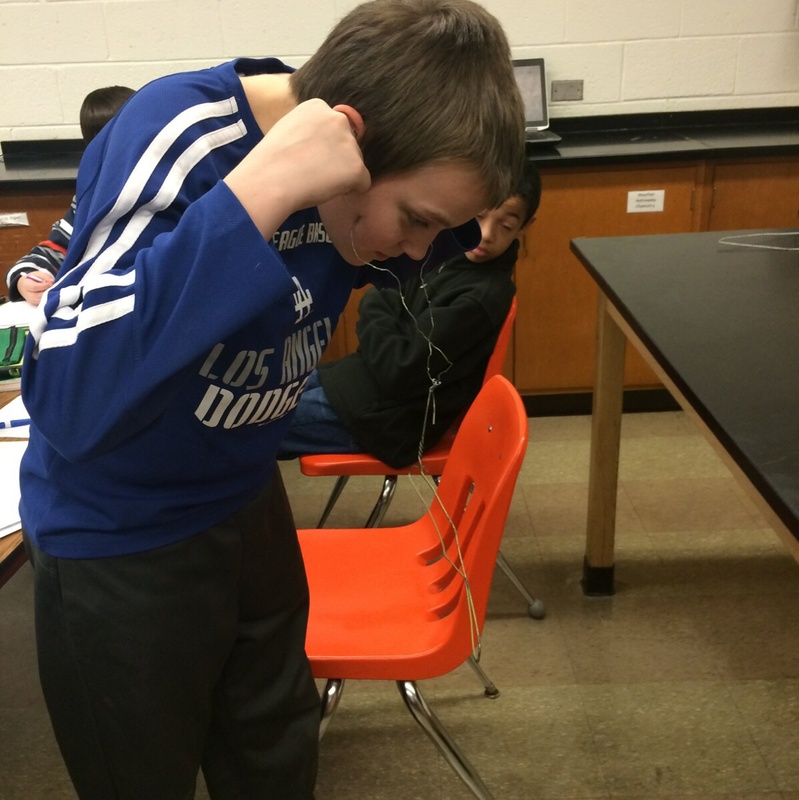 Allow students to rotate themselves through each of the lab stations. I typically break my classes down into 6 – 7 groups. As students rotate through the stations, be sure to ask them to connect to the specific skill that each station is about. For example, at the Bouncing Sound station in the Lab Document, make sure that students are connecting to Skill 1 and identifying how different types of waves behave differently. If students do not take the time to read the skills connected to the stations, connections will be missed. 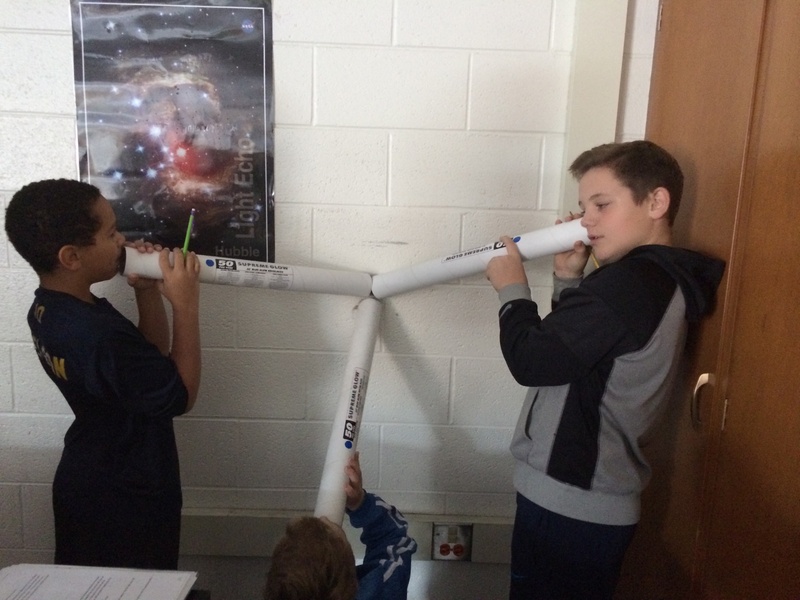 In this case, many students would only connect to the idea of reflection and would miss out on the idea that this station demonstrates that light and sound waves interact with different matter in different ways. For more insight into student work and lab documents, see the Wave Behavior Lab Rotation Day 2 Lesson Plan. With about 5 minutes left of class, ask students to clean up the lab station and complete the formative assessment/exit slip that focuses on them drawing general relationship graphs about the characteristic properties of waves.